Where are you from? What is your Nationality? These questions come up time and time again in our lives and all of a sudden I realised as I was about to go to sleep, that a nationality is merely a label. Where do we come from? We are all Human and we belong to the human race! And how are we all connected? The only thing, that I can think of that completely transcends different religions, nationalities, castes, cultures is FOOD. 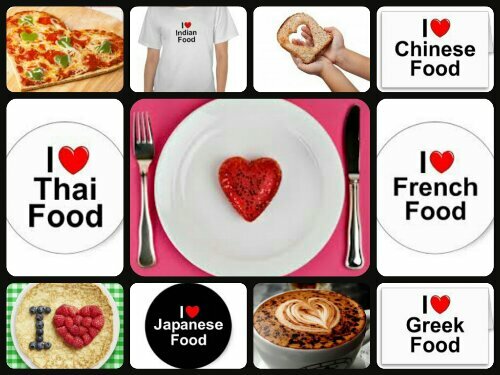 It’s amazing how these fantastic dishes from all over the world continue to spread and are liked by all who consume it, but it will be easy for the same people to eat this wonderful food but still have a dislike from where these dishes have originated! So the positive thing I think we can take away from this ideology I’ve explored is, as our love of food grows even more and different cuisines are explored via the great channel that is the world wide web. Maybe, just maybe! we can use this fascination of food to weave our own web of love towards all of mankind! Hello Dimple. So lovely to have found your blog. And yes, I believe that good food is a gift. And that God has given us so many different cultures and each culture creatively blesses us with different tastes and ways of making fine food. I’m following you now and look forward to receiving future posts and recipes. Hi…thank you so much for visiting me. It’s so great to be in touch with you. I really hope that we can all apply oneness to each other and live peacefully. Hopefully the love of food can help us with this! You’ve done more travelling in India then I have. I wish I could just go to India to explore all the wonderful things it has to offer. But mostly we find ourselves with family. My husband and I are definitely going to just travel India one day! I look forward to reading your posts too! Hi Staci..my family come from Gujarat! Mizoram wow! That’s sounds great! Thank you so much for your kind words. I’m sure soon enough you will be nominated for awards too! Hope you may accept it since is more than well deserved!!! One of the things that I really like about the wordpress admin/stats page is seeing all the different countries that people are in, or from, to find one’s blog. The world isn’t a perfect place, but if we could start to appreciate people in their respective countries, by looking at their food, maybe we can feel less hostile and have less war as a result. Okay, I’m stepping down from the soapbox now. 🙂 Have a good weekend! Hi Dimple, thanks for visiting my site and following me. 🙂 I see you have some lovely recipes here too – yum!